CNN's @donlemon: A video showing Fox News bashing former President Obama for the same things President Trump does "just points out the hypocrisy and the cozy relationship between the White House and Fox News and how Fox News has become state-run TV." CNN's @donlemon: "The hypocrisy is stunning and it's right there in your face. ... Just imagine what it would be like if Fox News reported on President Trump the way they covered President Obama"
A 74 year old Former Obama White House counsel has been charged with failing to register as an agent on behalf of Ukraine after he spent years as a lobbyist defending Ukrainian President Viktor Yanukovych’s jailing of a political opponent. Before serving two terms as Barack Obama’s vice president, Joe Biden spent nearly four decades as a senator from Delaware. Judicial Watch’s Weekly Update: Vindication for President Trump, What Was the FBI Telling and Paying Anti-Trump Dossier Author Steele? Judicial Watch Sues for Collusion Docs Between Obama FBI and Clinton-DNC Lawyers, and more! Tune in live on Facebook, Periscope, and YouTube to catch Judicial Watch’s Weekly Update Live. 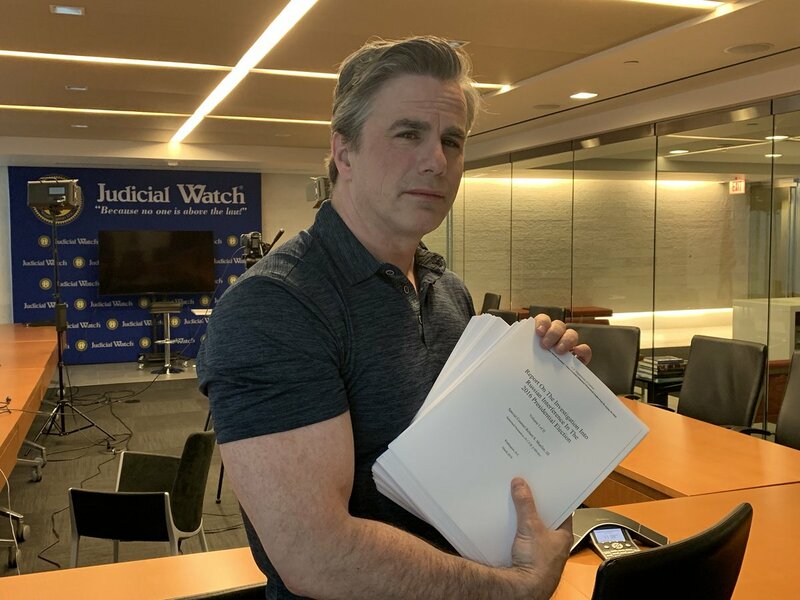 @TomFitton will be discussing vindication for President Trump, Judicial Watch sues for collusion docs between Obama FBI and Clinton-DNC lawyers, and more!